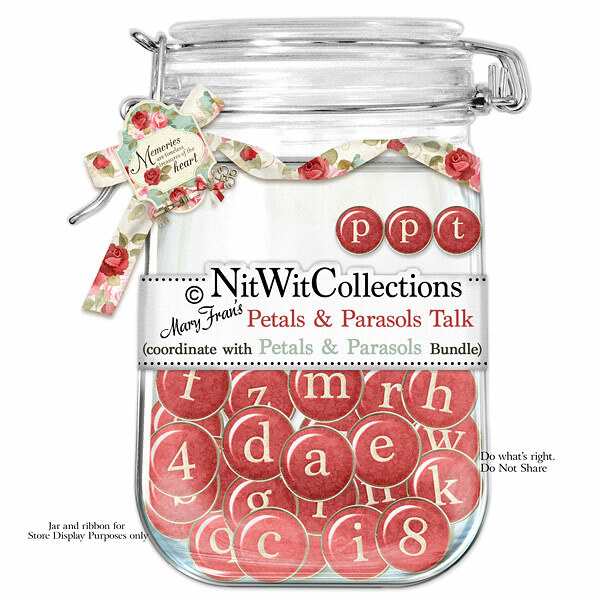 "Petals & Parasols" Talk adds words to your creative ideas when making your scrapbook layouts, mini albums and cards. Words are so important to convey that special sentiment, memory or feeling....use them often! 1 AlphaWit set of lowercase letters, &, blank tile, exclamation mark, question mark, quotation mark and set of numbers(0 to 9).